In my practice, two software programs dominate my time: QuickBooks® Accountant (QBA) and Intuit® ProConnect™ Lacerte®. With about 90% of my business clients using QuickBooks, and having been a Lacerte user for over 15 years, I can speak with authenticity that there are a lot of great features in both programs. However, in my opinion, the best kept secret at Intuit® is the seamless integration of QuickBooks data into Lacerte. The benefits speak for themselves: huge time savings and increased accuracy by not having to manually input the data into your tax software. I estimate those benefits to be a 30 to 45 minute reduction in the time I spend an average return and piece of mind on the accuracy of the data. In my practice, the combination of using Lacerte and QBA has proven to be a no brainer. If you have not considered the benefits of how these two great programs complement each other, allow me a quick tutorial on how it works by running you through my tax workflow with my QuickBooks clients. The Lacerte program will start and allow you to either set up a new client or select the appropriate client already within Lacerte. 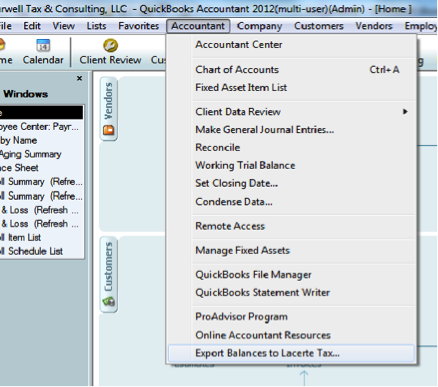 Lacerte then opens up into the Lacerte Trial Balance Utility, a feature inside Lacerte that allows you to work with the imported QuickBooks data. Once the Trial Balance Utility feature opens, you will see your imported trial balance from your QuickBooks data. Now, you can once create, add and delete accounts; make adjusting journal entries; and assign the accounts in the trial balance to Lacerte input fields using SmartMap. SmartMap is the Lacerte Trial Balance Utility’s tax line assignment tool. It includes a database that automatically assigns as many accounts as it can during the import process, then allows you to assign the remaining accounts to input fields by interacting with the actual Lacerte input screens. You can drag or click accounts from a list and drop them directly into Lacerte input fields. After you make assignments and post them to a tax return, the SmartMap database remembers these assignments. 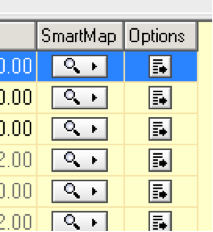 When you import a new client file in the utility, SmartMap automatically assigns tax lines based on these previous assignments. 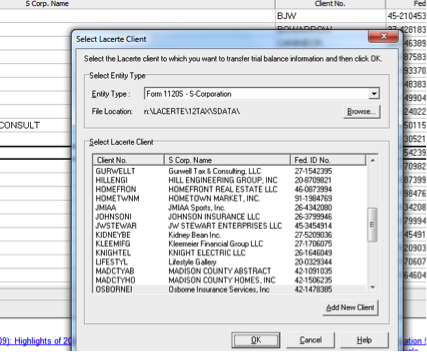 Once the data is posted, I can close the Trial Balance Utility and the program returns me to the normal Lacerte program where I can enter any other data that may be appropriate for the return. The whole process is very simple and easy to understand, so give it a try! I am confident you will agree with me that these two fantastic programs, QBA and Lacerte, work great together by saving you time and increasing the accuracy of your returns.